A lawsuit has been filed against Apple by two customers of the Upper West Side store in New York City, reports Appleinsider. The incident involves two men, Brian Johnston and Nile Charles, who have accused Apple of discrimination on the grounds that they are black. 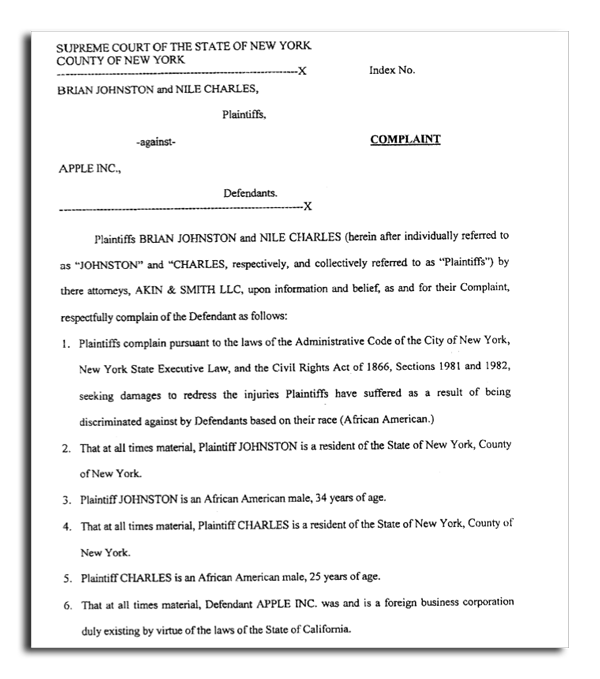 Appleinsider says that the the filing came to light this month because the case was moved to a District court after its original filing at the New York Supreme Court.